This article first appeared in The Edge Financial Daily, on July 25, 2017. 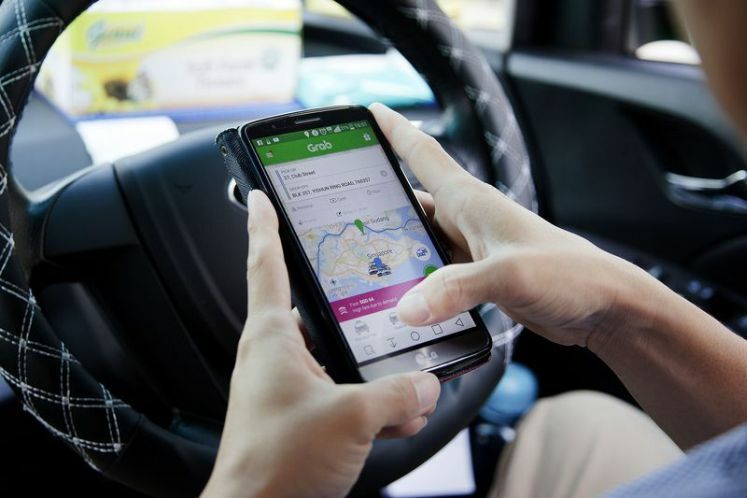 KUALA LUMPUR: Ride-hailing company Grab said yesterday that Didi Chuxing and SoftBank Group Corp will be investing up to US$2 billion (RM8.56 billion) in the company in what is the largest single financing seen in Southeast Asia. On top of that, Grab said in a statement that it anticipates to secure another US$500 million, bringing the tally it raised in its latest round of fundraising from existing and new investors to US$2.5 billion. Didi is a major ride-sharing company in China with over 400 million users, while SoftBank is a Japanese multinational telecommunications and Internet corporation. The record financing cements Grab’s alliance with both companies, who were instrumental in forcing Uber out of China last year, Bloomberg wrote. Besides China, Uber also retreated from Russia. Uber spent billions in both markets but ultimately capitulated to well-financed and savvy local rivals. Grab may be preparing for an initial public offering (IPO), possibly within a year, Frost & Sullivan’s Sunder was also quoted as saying. “When you have your existing, anchor investors putting in a larger share like this, that’s typically a way to fund the last investment stage before the IPO,” he said. Meanwhile, Grab said it has a market share of 95% in third-party taxi-hailing and 71% in private vehicle hailing in Southeast Asia, and that the company will continue to strengthen its already-leading market position and invest in its proprietary mobile payment solution — GrabPay. “We are delighted to deepen our strategic partnership with Didi and SoftBank. We’re encouraged that these two visionary companies share our optimism for the future of Southeast Asia and its on-demand transportation and payments markets, and recognise that Grab is ideally positioned to capitalise on the massive market opportunities,” said Grab’s group chief executive officer (CEO) and co-founder Anthony Tan. “With their support, Grab will achieve an unassailable market lead in ride-sharing, and build on this to make GrabPay the payment solution of choice for Southeast Asia. We look forward to continuing to work with our valued partners in the future,” Tan added. “Starting with transport, Grab is establishing a clear leadership in Southeast Asia’s Internet economy based on its market position, superior technology, and truly local insight. “By deepening our strategic partnership, Didi and Grab reaffirm our shared commitment to innovating localised solutions to global urban development challenges from the world’s fastest-growing marketplaces,” said Didi’s founder and CEO Cheng Wei in the same statement. “Both companies look forward to working together with communities and policymakers across Asia to fully embrace the extraordinary opportunities in the upcoming transportation revolution,” Cheng added. To SoftBank Group Corp chairman and CEO Masayoshi Son, Grab is a tremendously exciting company in a dynamic and promising region. “SoftBank is excited to deepen this partnership and we look forward to continuing to support Grab’s journey,” he said. Today, the Grab app has been downloaded onto over 50 million mobile devices, giving passengers access to the region’s largest land transportation fleet comprising over 1.1 million drivers, said Grab. Grab offers private car, motorbike, taxi, and carpool services across seven countries and 65 cities in Southeast Asia, with one out of every three passengers using multiple services. GrabPay Credits, a cashless top-up payment option, has grown over 80% month-on-month since its launch in December 2016, a testament to consumer trust in Grab’s platform.